Don’t miss the following webinar presented by the creator of the very popular RMO trading method, Rahul Mohindar. The RMO (inbuilt in MetaStock) has been one of MetaStock’s most popular systems by far, and the RMO ATM is also no exception when it comes to plug-ins. The RMO ATM add on when released had certainly changed the way many people looked at charts, it indeed became one of MetaStock’s most popular and top selling add-ons. With this brand new update, Rahul reenergized the systems further with some significant additions, marking the release of RMO ATM 3.0! This upgrade not only dramatically improved functionality but also added new alerts based on price objectives, outside day reversals, first RMO breakouts and much more! In this exclusive webinar, Rahul will demonstrate to you the various methodologies included with the RMO ATM 3.0 update, and more importantly share with you some specific rules he actually uses to trigger his trades. His focus would be on practical interpretation and implementation so that you can imbibe a rule based approach rather than a hap hazard way of analysis. So no matter which asset class or timeframe you trade, you should gain some excellent information and give you trades a further edge. 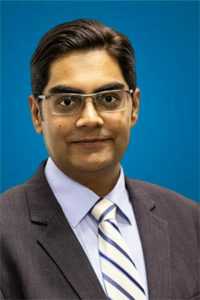 Rahul Mohindar is director of Viratech Software and an active trader who appears as a panelist on CNBC India, Bloomberg, CNN IBN, and CNBC Awaaz. Besides being market panelist, Mr. Mohindar has also been a guest lecturer across renowned stock exchanges, universities and business schools. Mr. Mohindar’s findings and research on the markets have been carried in India’s leading business daily’s including the Economic Times and Hindu. Mr. Mohindar is considered to be a rising star among trading professionals. He conducts regular training events and has trained thousands of practitioners across the world using MetaStock both on an end of day and real time basis. Not only has he been a part of major Technical Analysis conferences and tradeshows globally, but he has also been involved in educating and equipping leading brokerage houses and financial institutions.